Bleach fans will be excited to learn that Warner Bros Pictures live-action-adaptation of the manga and anime franchise, which received its cinematic Japanese debut earlier this year in Japan, will be added to Netflix’s ever-growing catalog of video-on-demand content within the UK. 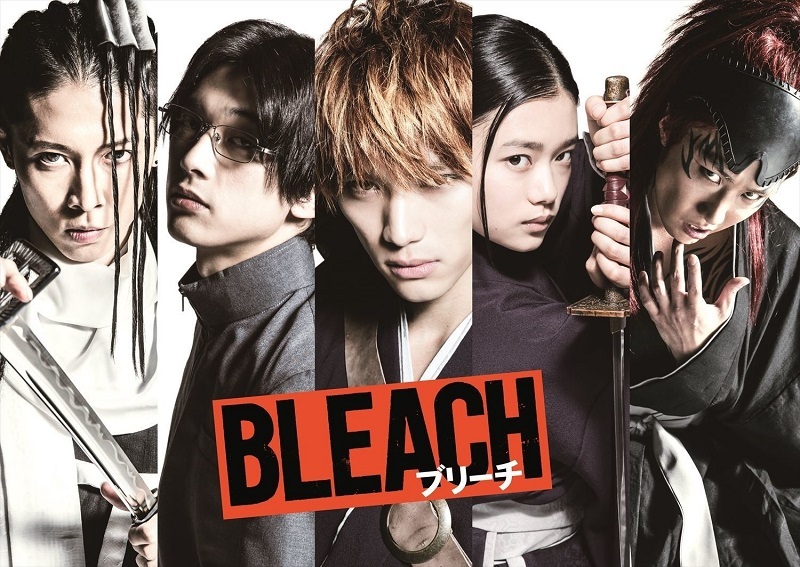 This particular Bleach movie retells the events of the first season in live-action format, whereby Ichigo obtains his Soul Reaping powers from Rukia and begins to defeat the hollows that appear within the city. Additionally the story line of this film also covers the battles with Renji and Byakuya. The official Japanese trailer highlighting what to expect from this Bleach movie can be seen below. In addition to the live-action Bleach movie being added to Netflix UK a list of ‘Netflix Original’ anime series will also be added to the catalog; with titles such as Dragon Pilot: Hisone and Masotan, Forest of Piano, Last Hope and Lost Song. All of these anime titles will be added to the platform throughout the month of September from the 21st September 2018. Bleach will become available on Netflix UK from the 14th September 2018 and is expected to be presented in Japanese with English subtitles, as well as other subtitles for other European languages.